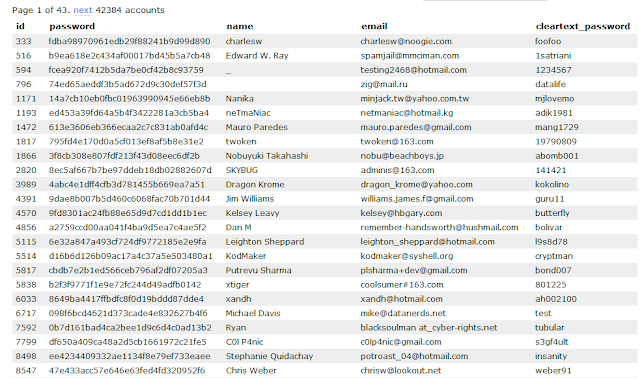 Rootkit.com database leaked by Anonymous Hackers, Available for Download ! @aaronbarr : Sup, here's rootkit.com MySQL Backup http://stfu.cc/rootkit_com_mysqlbackup_02_06_11.gz #hbgary #rootkit #anonymous. 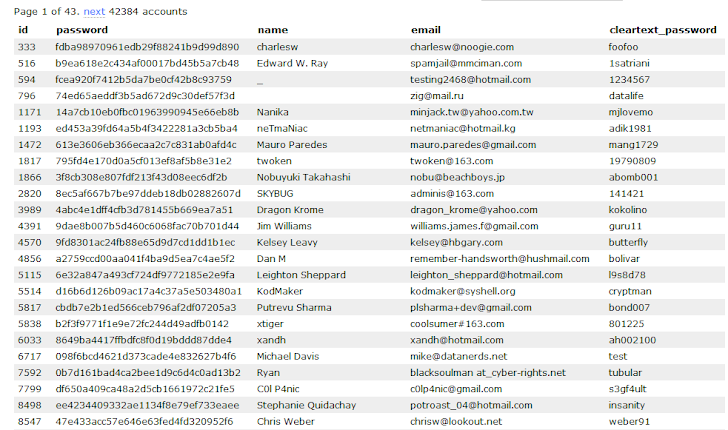 The table pic shown is the list of accounts found in rootkit.com MySQL database backup with passwords in cleartext.